The funny thing about the New TMNT toys is how well they work with the 2k3 AND 80s stuff… I only have Mike and Leo and they look nice fighting my Vintage Rocksteady and Bebop! Heh, know what you mean. 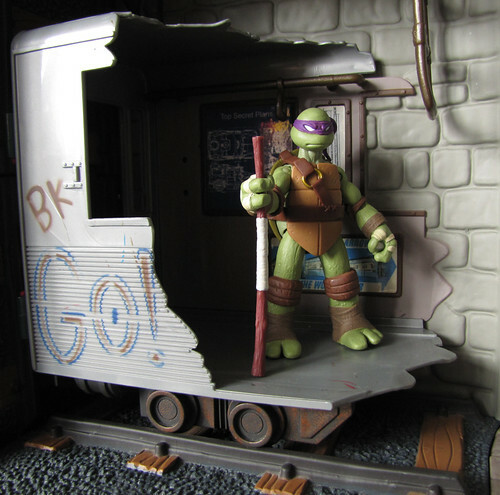 I personally grabbed a 2K3 Casey Jones to go with my Turtles- because as a kid raised on the live-action movies and 2K3 as much as the 80's toon, it's just not complete without a little "GOONGALA! ".